Bloomberg Businessweek’s article “The ETF Tax Dodge is Wall Street’s ‘Dirty Little Secret’“ provoked strong reactions, especially amongst ETF boosters. Authors Zach Mider, Rachel Evans, Carolina Wilson, and Christopher Cannon informed a wide audience about the “heartbeat” trades that I first described in 2017. They documented the history and prevalence of heartbeat trades, quantified their dollar value, and identified banks that fund these ultra-short-term trades. They also estimated the associated tax deferral amount for over 400 funds. Most importantly, the authors opened a discussion on the fairness of heartbeat trades, reminding readers that ETFs take advantage of a tax treatment that mutual funds seldom use. The article also noted that the Internal Revenue Service (IRS) says it’s aware of heartbeats and wouldn’t comment on whether it considers them an abuse. 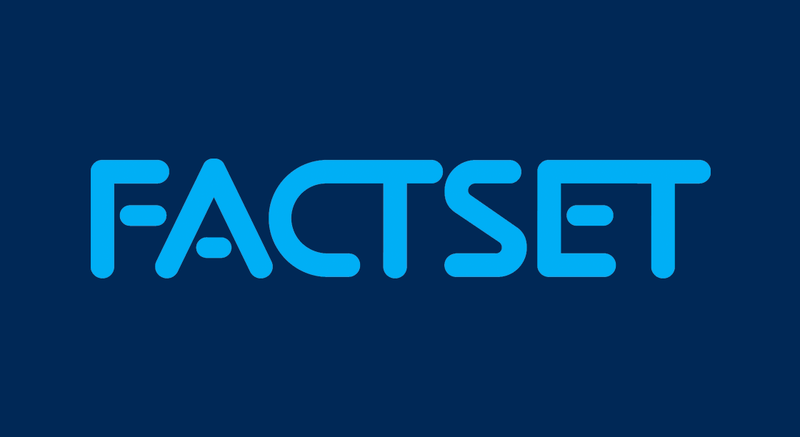 The accusations that heartbeat trades might sit on shaky ground with the IRS, and the reluctance of the trades’ major participants to publicly defend the practice, opened the door to much (heated) discussion about heartbeat trades’ fairness. The fund industry is having severe chest pains over Mider’s article. Before anyone rushes to the emergency room, let's make sure we understand heartbeats' tax implications. It turns out that heartbeat trades are a tax deferral strategy, not a permanent tax dodge. Here’s how it works. Imagine that a mutual fund (MF) and ETF have the same portfolios, managed identically. Each fund starts with $10.00 per share net asset values (NAVs) and gains 10% per year. Each portfolio manager closes positions that generate $1.00 per share of profits each year. The MF transacts directly in the securities market, while the ETF uses in-kind creations and redemptions. The MF must distribute its $1.00 of realized capital gains to its shareholders. 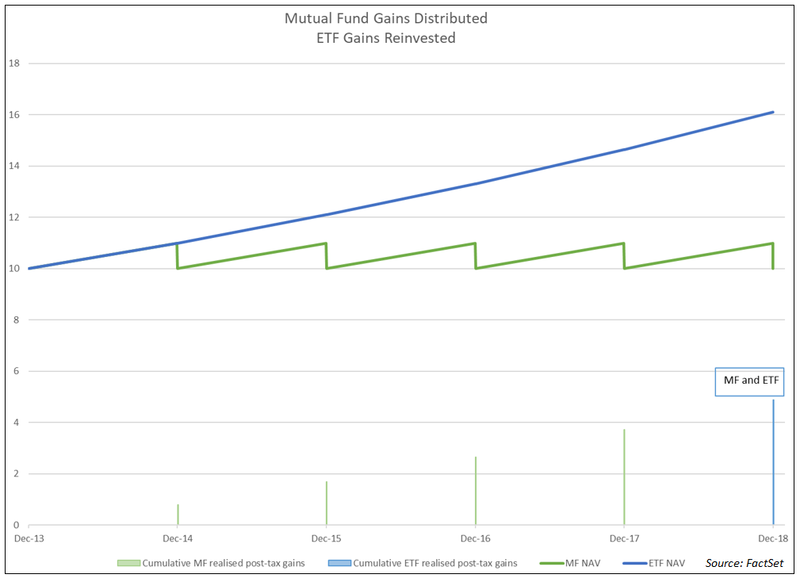 The ETF makes no capital gains distributions but instead re-invests the sale proceeds. At the end of the year, the MF NAV is back at $10.00, and its investors have $1.00 in their pockets, which nets to $0.80 after tax (assuming a 20% capital gains tax rate). In contrast, the ETF year-end NAV rises to $11.00. ETF investors have netted $0.00 but have $1.00 of unrealized gains. This repeats the next year, taking ETF NAVs to $12.10, pinning MF NAVs at $10.00, and distributing another $1.00 per share. This process continues for five years. The disparity resolves when investors sell their positions. Both the MF and ETF investors owe taxes on their gains, which are the difference between purchase and sale prices. The MF sale price will be lower than the ETF price, because of the annual MF NAV reductions. Meanwhile, ETF investors pay taxes on their compounded returns – a much higher sale price. Over the full holding period, MF and ETF tax bills will be identical. MF shareholders will have paid taxes every year but avoided a large tax on sale, while ETF shareholders pay all taxes at the end. The dollar amounts will be the same. But the MF investors have paid sooner, thus losing out on the time value of taxes paid. The chart below shows NAVs and after-tax proceeds for this example. This is why the question of deferred taxation is at the heart of heartbeat fairness. Dollars not received by the U.S. Treasury today cannot supply classrooms, support public health, promote national security, or tend to our veterans. Those same dollars do less tomorrow. “Routine use” means day-to-day creation/redemption activity that supports the ETF arbitrage process that, in turn, keeps ETF prices aligned with intraday NAVs. Natural order flow – that is, investor buy and sell orders – drives routine creations and redemptions. Heartbeats are different, because the players aren’t ordinary investors. As Mider confirmed, they are a cooperative set of investment professionals, namely ETF asset managers and investment banks. Heartbeat trades’ purpose is not to meet public demand for ETF shares, but to facilitate a frictionless, tax-deferring portfolio rebalance. Heartbeat trades make the year-by-year tax consequences of holding a fund such as Direxion All Cap Insider Sentiment Shares (KNOW-US), which turned over 912% of its portfolio between May 2017 and May 2018, equivalent to those of vanilla total market funds like iShares Dow Jones US ETF (IYY-US), which turned over less than 4% of its portfolio during the same time frame. Heartbeat trades, initiated at the behest of the portfolio manager, serve three goals: minimizing tracking error, avoiding block trades, and washing out low-basis stock positions. The first two objectives can be achieved by placing a market-on-close order with a broker-dealer. The tax management piece cannot. In the heartbeat trade that I took apart, the outgoing securities were split into two groups: appreciated securities went into the redemption basket, while depreciated securities were sold outright via a broker-dealer.